Buying a home is a process that takes time and effort and that if done right ensures many years of happiness and worry free living. When you try to purchase a home without following the correct steps you set yourself up for a frustrating experience. Additionally if you ignore some of the tried and tested home buying advice you might be stuck in a home you hate or worse in one that ends up costing you more money in order to make the house work for your or just to keep it habitable. By following the tips listed below you can ensure a home shopping process that is less stressful, that you find a house you love, and it is a house that will last you as long as you want to live there. If you don’t already have excellent credit then you should work on improving your credit prior to buying a home. The earlier you can improve your credit score prior to buying a home the better mortgage options and interest rates there will be available for you. The best ways to improve your credit score include paying down debts (especially short term credits cards, consumer loans, etc.) and to make sure all debts at least receive the minimum payments and that those payments are made on time. Any late payments on debts, even you pay off the debt in full, will knock your credit score down. 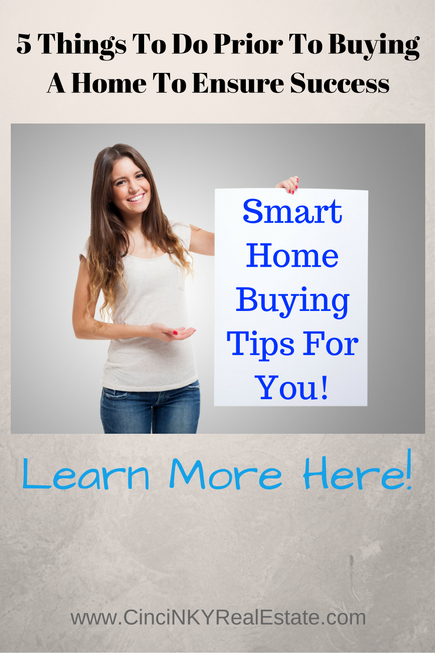 Another recommendation is to not close any credit card accounts until after you purchase your home. The credit scoring agencies look at your overall credit usage and by closing accounts down without also paying other debts down results in an increased use of your credit limits. The higher your use of all credit limits combined the lower your credit score can go. In other words by closing an account you reduce your overall credit limit and if your debts are still the same your percent of debt is now a greater portion of your current overall credit limit. Tip #2. Start Saving Up Money For A Down Payment ASAP! While there are home loan purchase programs that will get you into a house for 3.5% down (you may even qualify for a home loan grant that makes your net out of pocket result in zero down) there are still other expenses associated with purchasing a home you need to be ready for. Some routine expenses that come up during the home purchase process include the fees to pay for the home appraisal, home inspection, closing costs, and possibly to pay for any contractors to provide second opinions on issues brought up by the home inspector such as pest inspectors, structural engineers, and more. By having money saved up to pay for the expenses associated with buying a home and the down payment you are sure to close in that transaction, since if you cannot provide the down payment and other closing costs at the closing table you will not be able to buy the home. 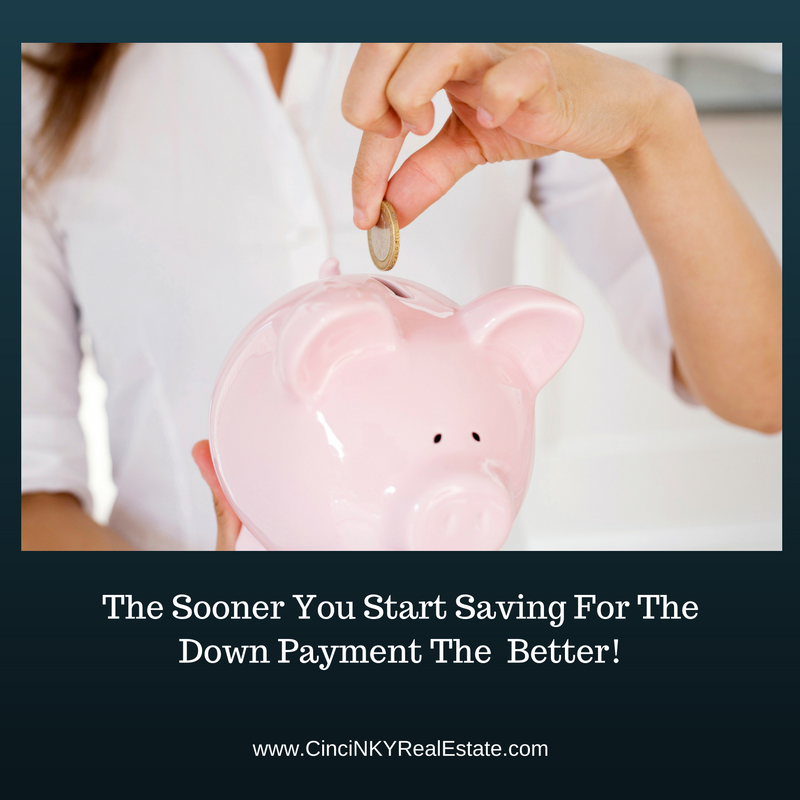 So the earlier you start saving for your down payment the better position you will be in when it comes time to close on your home. Over the life of owning your home it is also a smart idea to keep extra cash on hand in case you do need to repair something major in order to keep your home livable and usable by you. Why is a pre-approval important you ask, a pre-approval is important since it lets you know the maximum amount you can borrow to buy a home. By knowing the maximum amount you can borrow you can start to narrow down locations and home features that fit within your budget range. Nothing can be more frustrating than shopping for homes only to realize you could afford to borrow more and get something with the features you want or shopping for homes outside of your price range and realizing later you wasted months looking at homes you would not be able to borrow for. Another reason to get pre-approved is many home sellers will not seriously consider your offer to purchase their home without a pre-approval letter. Everything else being equal or close to equal if your offer is submitted with another offer that has a pre-approval letter and yours does not you will lose the chance to buy that home. You should not pick the first mortgage company you see and ask them to do a pre-approval for you and leave it at that. Instead you need to talk to a number of different mortgage companies to find out what kinds of mortgage loans do they offer and what will work best for you. If you have credit issues ask the mortgage companies you talk to if they have any credit counseling programs that you can use to help improve your credit score. Additionally you should be asking the mortgage companies what will be the closing costs associated with the loan and if there are any points with getting the loan. Closing costs eat up the money you saved up for your down payment and points whether paid up front or financed into the loan can increase the overall cost of your loan. It pays to compare loans and costs to get the best deal possible for you. While you may have been pre-approved for a certain amount that does not mean over the long term your house payment, along with tax, interest and insurance payment will be affordable for you. You need to look at a home’s affordability based on the paycheck you bring in today and not with the hopes of a possible promotion or pay raise in the future. If you are stretching your budget today to buy a home chances are you will not be able to keep up on maintenance and updates of the home which could lead to your home’s value sliding backwards. The situation then compounds when you need to sell the home due to affordability issues and the value of your home is now less than you paid for it due to lack of updates or other maintenance issues. Look at your budget accurately and determine how much home payment can you afford the instant you buy the home. Make sure that home payment includes what you have to pay for property taxes and insurance. Since property taxes will depend on the price of the home and the location of the home (high property tax location versus low property tax location) the amount of home you can afford will change based on where you want to buy a home. Cost to insure a home can vary and is dependent on the age, condition, claims history, and location of the home as well. If you are not already involving your insurance agent in the home purchase process, by the time you get into a contract to purchase a home and run the insurance quotes you may realize you cannot afford the home with the insurance premiums and have to cancel the deal resulting in wasted time. Your insurance agent should know that you are looking to buy a home so that way they are ready to give you insurance quotes prior to making an offer on a particular home. If the combined total of insurance, taxes, interest, and mortgage principal payment stretch your budget too much you may want to reconsider that purchase and instead consider something that fits within your budget more comfortably. Once you have entered into a contract to purchase a home your tasks do not end there. You may still be required to provide recent bank statements, pay stubs, and other financial information as requested by your lender. The home you want to buy will be appraised to make sure the price you are borrowing to buy the home is supported by the real value of the home. An Appraiser will make sure the home is not valued at less than the amount of money you are borrowing to buy the home. Additionally you should have a home inspection of the home performed so that way major problems can be identified and you get a general overview of the house’s condition. A good idea prior to making a purchase offer on a home is to interview a number of home inspectors and get an idea of how they do the home inspection and ask them for any suggestions for you as the buyer to look for when you walk through a home for the very first time. 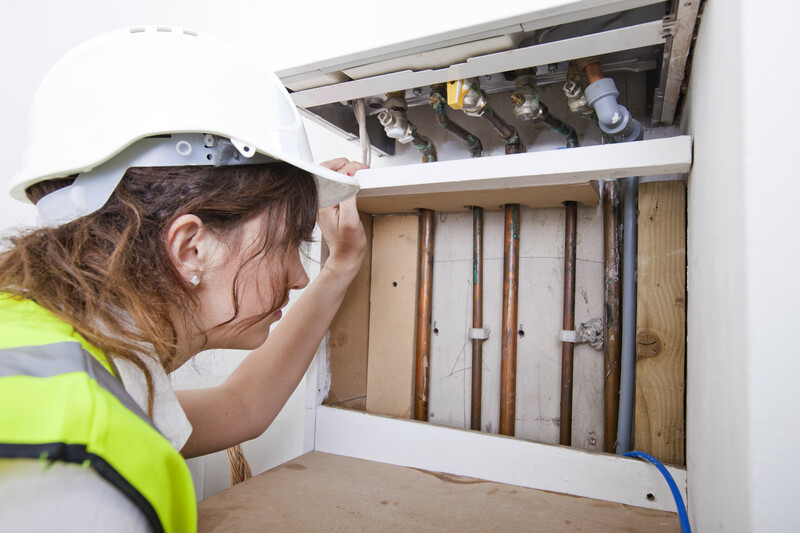 Things you notice with a home that may be of concern should be brought to your home inspector’s attention so that they can check it over when they do the actual inspection. Keep in mind this is not a time to try and save money and skimp on a home inspection. You may be in this home for a long time and are investing a significant amount of money into the home. By spending less and getting a great deal on a home inspection you may end up paying for the discount multiple times over when issues are missed and are left for you to repair. Once you get the inspection report make sure to review it carefully and ask the home inspector if you have any questions. If the home inspector suggests further evaluation by professional contractors in certain areas of the home then you should make arrangements as soon as possible to have those areas inspected. If you need more time to arrange the inspection then involve your Realtor in the matter so that an extension to the inspection repair period can be negotiated if need be. This is another one of those areas where if you have to spend money to hire a structural engineer, HVAC contractor or another contractor for further evaluation of a problem area you should spend the relatively small amount of money now versus the large amount of money to fix a problem later when you own the home. If there are problems in the house discovered before you close on the home you can either request to have them repaired at the seller’s expense or walk away from the deal saving you some major expenses. Buying a home is a major undertaking that should not be taken lightly and without the proper preparation. With the long term investment involved in owning a home by taking the time to go into the process properly prepared you can help ensure success. If you skip any of the tips noted above, be forewarned that your home purchase and home ownership dreams may be more bumpy than desired. About the author: The above article “5 Things To Do Prior To Buying A Home To Ensure Success” was provided by Paul Sian. Paul can be reached at paul@CinciNKYRealEstate.com or by phone at 513-560-8002. If you’re thinking of selling or buying your investment or commercial business property I would love to share my marketing knowledge and expertise to help you. Contact me today!